Tuition-Free Classes for your Success! 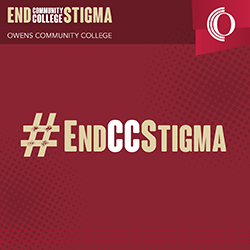 Owens College and Career Readiness Center (CCR) provides Tuition-FREE services for individuals* who need assistance acquiring the skills to be successful in life, post-secondary education and training, and employment. This class is for non-native speaking students with a desire to improve their speaking/listening or reading/writing skills in the English Language. Students will also have the opportunity to learn culture and citizenship skills. For adults wanting to obtain a HSE diploma, CCR courses provide free instruction at the learner’s pace. Please be advised that the CCR Office, in addition to ALL CCR classes (GED/HSE, ESOL, CPC), at ALL locations will be closed and not in session on days the College itself is closed. This includes winter and spring breaks, College holidays, and any other unexpected closures due to weather or other incidents. We look forward to helping you attain your goals! Please feel free to call Monday-Friday 8 a.m. – 4:30 p.m.
Monday-Thursday 10 a.m. – 3 p.m. The Owens CCR program provides high quality instruction to adult learners who want to obtain a HSE or improve basic skills in order to prepare for college or employment. school attended, official school letterhead signed by superintendent or designee, or provide written evidence of a high school credential prior to enrolling in an Owens CCR class. *** Pursuant to federal law, services and instruction may not be provided to Limited English Proficient students who are in the United States with F-1 visas.